Passengers’s colour passport copy. The passport must be valid for minimum eight months. 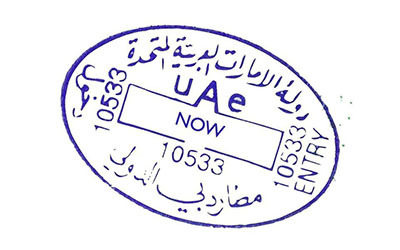 Dubai Visa fees are Non-Refundable and Non-Extendable. Whether you’re planning a visit with family , school or a business trip. We offer visa services for all major destinations like Schengen (Europe), Thailand, Malaysia, Umrah Visa Kingdom of Saudi Arabia (KSA), Singapore, China and many other destinations around the globe. Our consultants can help you fill your visa forms, prepare you for your visa interviews and further guide you with the requirements. Visa are subject to Immigration, in case of Rejection (by any reason or without reason) or delay the Visa Fee is Non Refundable and Flight Connection – Travel & Tours (Pvt) Ltd will not be held responsible. 14 days T.T (Tourist as a Transit) Visa cannot be used for more than 14 days, if proceeded otherwise, a penalty would be charged. Original Passport should be valid for minimum eight months. Rate of currency can also lead to visa rates changes. When making your booking you must ensure that the names you provide match those shown on the passengers’ passports. Note: Flight Connection – Travel & Tours (Pvt) Ltd does not sell, trade, or otherwise transfer to outside parties any personally identifiable information.